We are clearing out all remaining 2018 Mitsubishi’s! Massive savings on Mitsubishi RVR – $4000 Discount! 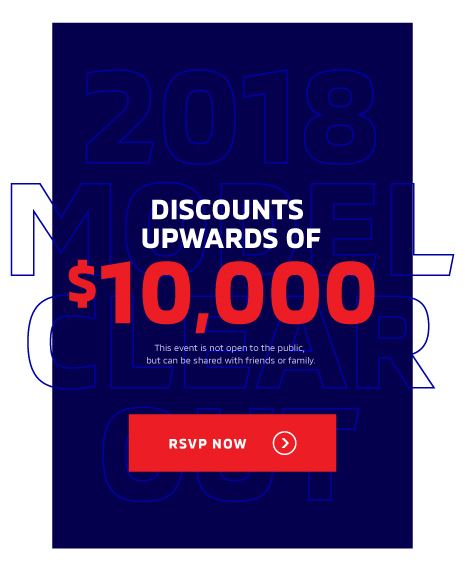 Massive savings on Mitsubishi Eclipse Cross – $4000 Discount! Massive savings on the Mitsubishi Outlander – $6000 Discount! Massive savings on the Mitsubishi Outlander PHEV – $8500 Discount! Welcome to our exclusive 3-day Sales Event. Stock is limited, and we anticipate high attendance, so REGISTER NOW!